Fabulously renovated top-to-bottom with beautiful golf views to match. This first corner end locale is a short stroll to the PGA Resort & Members Club. Beautiful terra cotta tile and crown molding makes the spacious & open Great Room feel warm and inviting. The ceiling in the kitchen was raised. Granite with wonderful edgework & extended bar countertop matches perfectly with the upscale cabinetry and GE appliances. The master is spacious with sensational views. An incredible marble bath mixes marble floors and countertops and tumbled-marble accents in the awesome shower. Lots of California closet space. A Murphy bed built-in is perfect for visitors in the guest suite. Newer A/C, impact glass on 2 large windows, and professional window treatments makes this home a delight. 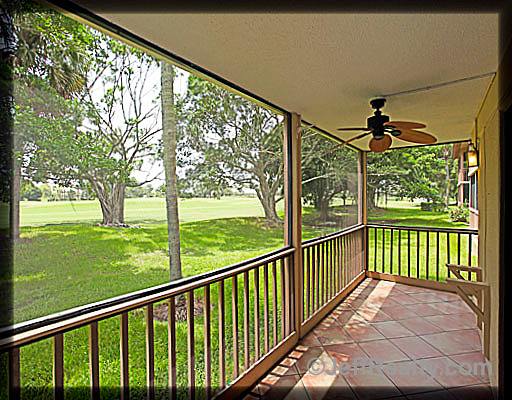 Posted in golf community, PGA National, PGA National homes for sale on August 23, 2011 at 8:33 am.